On Thursday, July 31 at 10:00 am, [the Subcommittee on National Security and Foreign Affairs] will hold a hearing entitled, “Oversight Hearing on Sexual Assault in the Military.” The hearing will take place in room 2154 of the Rayburn House Office Building and is open to the public. 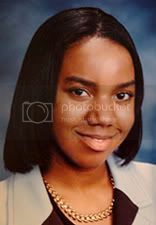 It should be noted that the chairman of the parent committee - Representative Henry Waxman - is the named petitionee of a new public appeal for hearings on the LaVena Johnson case. This petition is authored by the advocacy group ColorofChange. The chair of the subcommittee is Rep. John F. Tierney of the Sixth District of Massachusetts. The names of other subcommittee members, and suggestions on trying to put LaVena on their agenda for the day, may be found at the What About Our Daughters? post. Reopen this young woman's case. For too long the public has been fed lies and cover ups. 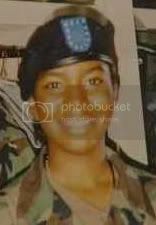 She didn't give her life for her country. Some evil monster took it. MY GOD! This is the first I have heard of this case and it sickens me. A soldier is sexually assaulted and murdered, and it's labeled suicide???!!! This is deeply disturbing on so many levels. Is Army P.R. more important than justice??? Doesn't the Army defend such values as truth, justice, and the American way??? The Army is woefully short of personnel and they have ramped up their recruiting efforts. I think this is the best place to hit them if we want their serious attention. A national effort should be organized and thousands of flyers printed with LaVena's story. We then post people near every recruting station and put a flyer into the hand of every person who is thinking about joing the Army. We do the same in colleges and universities where they permit armed forces recruiting to take place. We send a copy of LaVena’s flyer to every high school principle and college dean. A coordidnated national effort will get some kind of press coverage and that could open the door to lining up public opinion pressure which even the military and especially the politicans cannot ignore. I live in California and I would be willing to start the effort in my state. Let me know what some of you think. PS. We need to keep Rev’s JJ and AS out of this; both of them have serious credibilty issues which could hurt a national effort.